Rome Urbe Airport (Italian: Aeroporto di Roma-Urbe) (IATA: none, ICAO: LIRU) is a small civilian airport in Rome, situated in the northern part of the city, between Via Salaria and the Tiber River, about 2.7 NM (5 km, 3,1 mi) inside the Greater Ring Road (Italian: Grande Raccordo Anulare or GRA), the circular motorway around the city. The airport was inaugurated in Benito Mussolini's presence in 1928, with the name "Lictor Airport" (the name was chosen by Mussolini himself). Until the World War II it was the main civilian airport in Italy, and the base for the Italian national airline Ala Littoria. Inside the perimeter it was also constructed a racetrack, named Autodromo del Littorio ("Lictor Racetrack"). In 1931 a car/plane challenge took place on the racetrack inside the airport: Vittorio Suster, piloting a Caproni Ca.100, defeated Tazio Nuvolari, who drove an Alfa Romeo 8C 2300. 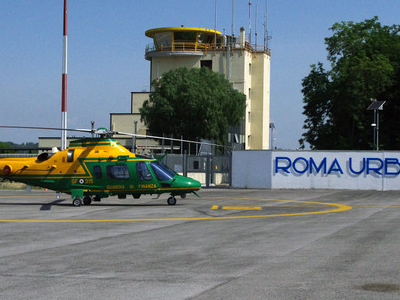 Here's the our members favorite photos of "Airports in Rome". 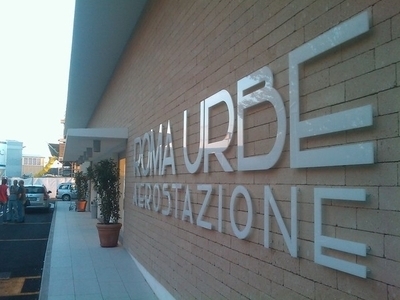 Upload your photo of Rome Urbe Airport!